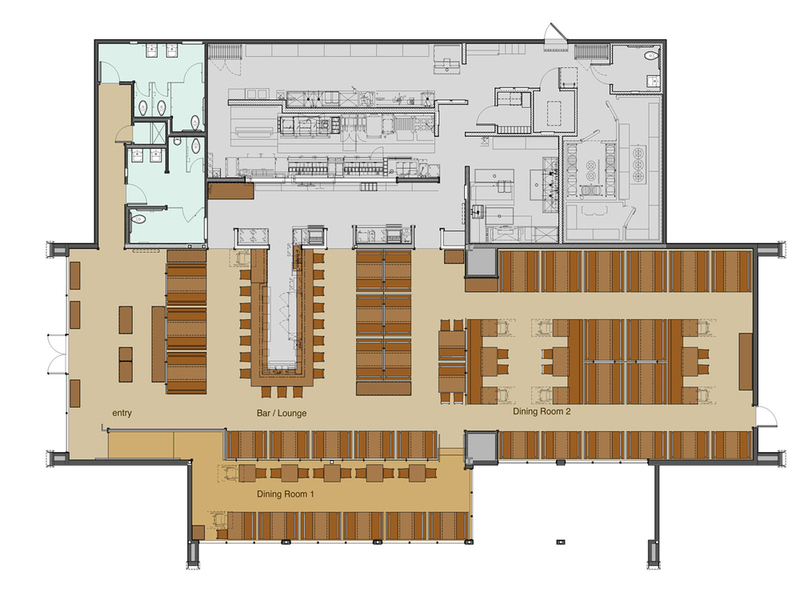 Four casual dining prototype restaurant developments in California. 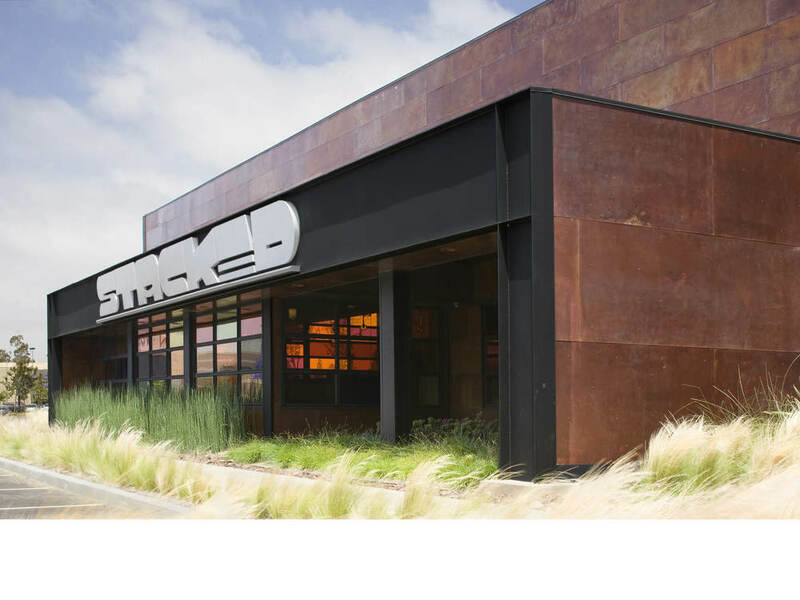 Stacked is a culinary studio, an atelier with a kitchen, where guests, primarily between the ages of 16 and 32, can express themselves. Chefs have become huge celebrities and role models, and the Internet culture has accustomed us to an infinite array of choice. 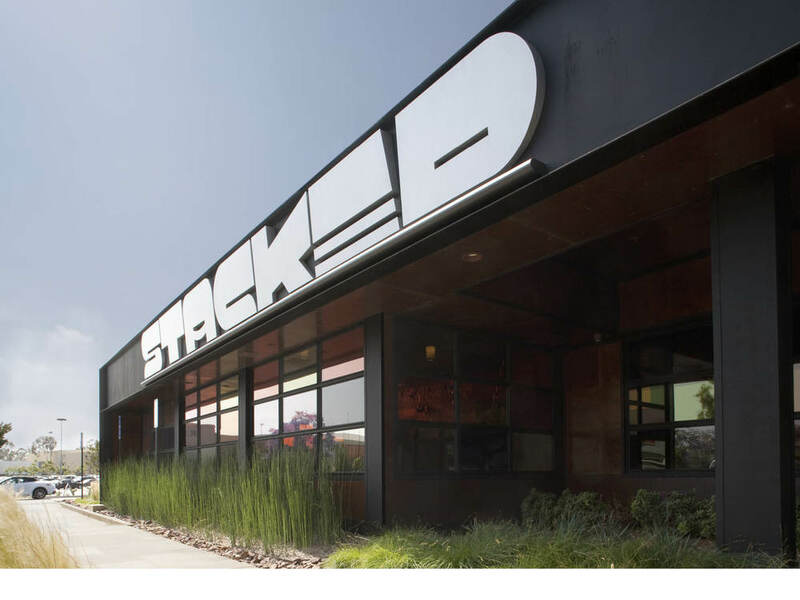 Stacked, which received an award for innovation from the National Restaurant association in 2012, allows guests to direct the efforts of the kitchen team with iPads loaded with proprietary software. The playful software allows them to customize and control the cost and pace of their meal. 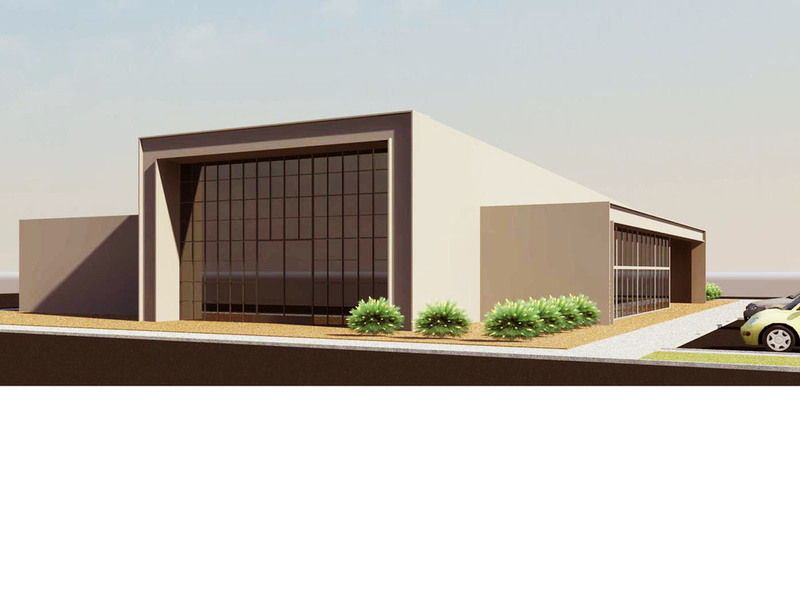 Stacked is inspired by urban manufacturing buildings re-purposed as creative studios. 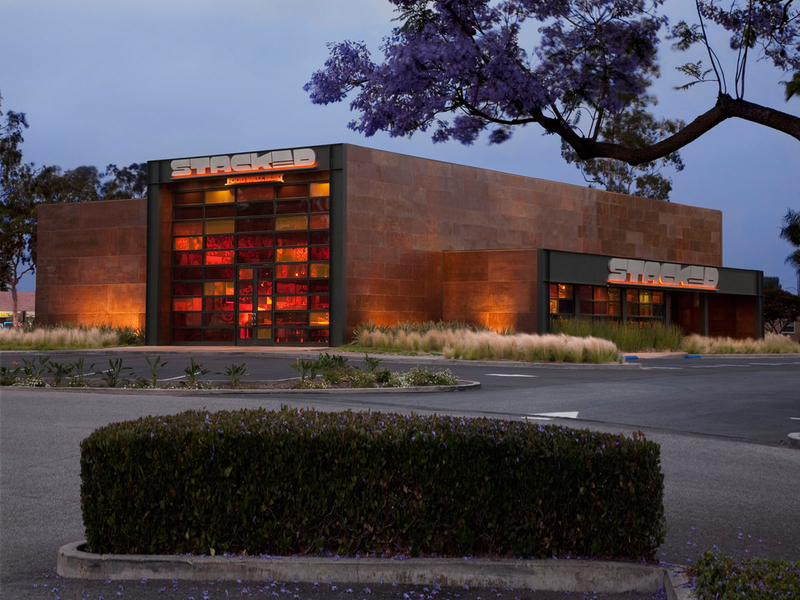 Façades are composed of raw hot-rolled steel and lacey industrial steel sash with a collage of saturated orange and red and amber glass. Exotic lumber, re-claimed from an LA shipyard, once used to keep cargo in place on the high seas has been converted to flooring. Door-pulls have been hand carved and cast in recycled magnesium-aluminum alloy. Tables and cabinets are topped with slabs of maple; cabinet bases are composed of raw steel with massive industrial hinges. Light fixtures are hand blown in Chicago for Stacked. The booths are framed in raw structural steel and finished with solid maple and heavy tooling leather fastened with copper nails. Abstract murals explore ideas about composition.